India’s talented Grandmaster Pentala Harikrishna drew against Csaba Balogh in final 10th round game to score 6 points from 10 and share the top honours with Peter Acs at the 5th Gyorgy Marx Memorial, which concluded today in Paks, Hungary. In this double round robin championship Harikrishana started with a loss in the first game, and thereafter drew the next three games with Korchonoi, Berkes and Balogh. But than he won three next games and drew 8th and 9th game to emerge leader of the championship with 5.5 points, half a point ahead of his nearest rivals Acs and Balogh who scored 5 points each from 9 games. In the final round Harikrishna had black pieces against Csaba Balogh and despite playing an attacking game could not get a full point and drew the game. With this drawn game Harikrishna finished the championship with 6 points. 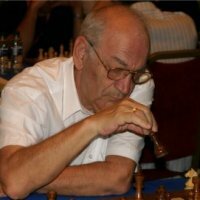 His nearest rival Peter Acs defeated the legendary Viktor Korchnoi to equalize the score with Harikrishna and share the first place with the Indian Grandmaster. Harikrishna will now play two rapid tournament in Mainz Chess Classic, where he won the Chess960 Junior world Rapid Champions title last year.